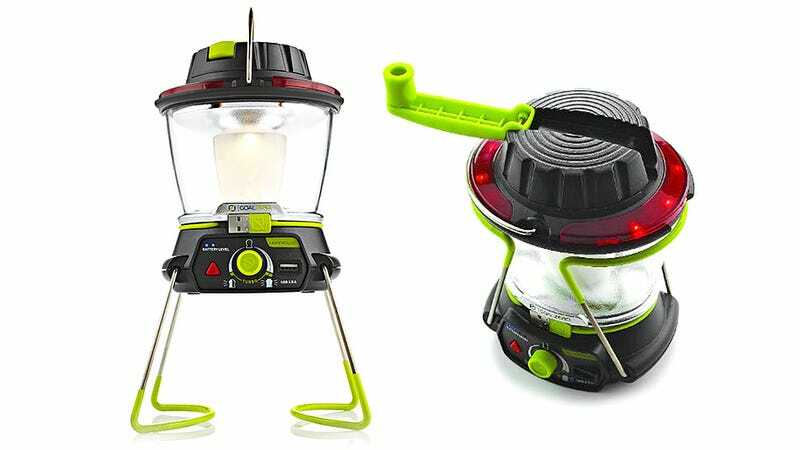 If you're on the hunt for the best way to accessorize your fancy new solar powered tent, Goal Zero thinks its new Lighthouse 250 Lantern and USB Power Hub is exactly what the outdoors type who refuses to disconnect can use. Its internal rechargeable battery is good for up to 48 hours of illumination, but it's also happy to share its charge with your dying power-hungry gadgets. Using a dial you can adjust the brightness of the lantern, since the maximum setting of 250 lumens is probably going to reduce its claimed battery life. But so will hooking up your other gadgets to leech power from its included USB port.